Metro Nashville Parks and Recreation offers free summer camp each year. One of the highest priorities for each of the 25 community recreation centers is offering quality programs for school-aged children. Each center offers summer enrichment programs for children from 6 to 14 years of age. Select centers also offer the Nashville After-School Zone (NAZA) program for middle school students. Children can participate in a drop-in program that focuses on active recreation, while supporting healthy social and academic development. Space is limited for these free programs, so advance application is required. Summer enrichment programs operate from 9 a.m. to 4 p.m. daily during the Metro Public Schools summer break. Every autumn Third Man Records, a vinyl record label based in Nashville, hosts its Wax & Haystacks event, which is a family-friendly bazaar with record vendors, entertainment and crafts for kids, and local artisans and shops. 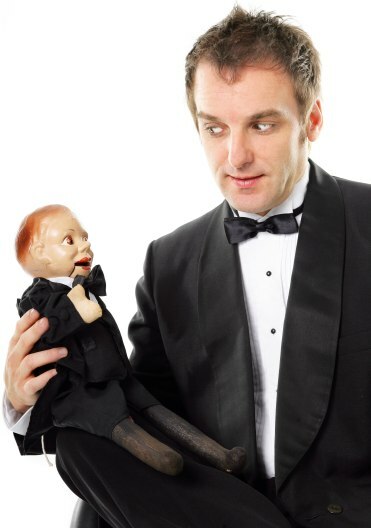 We have Mr. Steve performing sets in our venue at 11am and 1pm and were hoping to host a puppet show in between and/or afterward to keep families entertained. Even something as small as 2 15-minute sets between and after could be fun! We've all made some high-quality sock puppets back in the day. All you needed was a tube sock, two buttons, a permanent marker... and if you were one of those real fancy kiddos... you'd even use yarn for a coiffed hair do. But let's face it, your kids and their friends are not going to enjoy those homemade puppets that you just pulled out of the attic. But they WILL be enthralled by these professional puppeteers. With eye-catching puppets and edge-of-your-seat story telling, your kids will be talking about this puppet show for weeks! Search for Puppet Shows in Nashville, Tennessee above. Please note that these Puppet Shows may also travel to Berry Hill, Belle Meade, Madison, Whites Creek, Antioch, Hermitage, Old Hickory, Goodlettsville, Joelton, Pegram, Mount Juliet, Rural Hill, Ridgetop, Millersville, Ashland City, Nolensville, Greenbrier, Kingston Springs, Leiper's Fork, Pleasant View, Arrington, Chapmansboro, and Fairview.